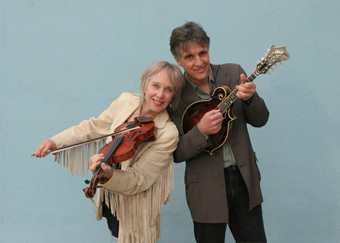 Not only has the International Bluegrass Music Association twice named Laurie the Female Vocalist of the Year – not only did she win a Grammy for her contribution to True Life Blues: the Songs of Bill Monroe – but she also graduated from Berkeley High. Since graduation, she’s recorded more than 20 albums – with the Good Ol’ Persons, Grant Street, Kathy Kallick, and her current band Laurie Lewis & the Right Hands, as well as several solo projects – and is now working with many talented new artists, helping them find their way in the recording business. Tom, a native New Englander, first joined forces with Laurie in 1986 as an original member of Grant Street, and may well be the rightest of all the Right Hands. He and Laurie collaborated on a beautiful, Grammy-nominated album of duets, The Oak and the Laurel, and he also has released a wonderful solo album, Jubilee, recorded with an all-star cast of musicians including Laurie, Mike Marshall, Herb Pederson, and Darol Anger. Nina is the LeBron James of guitar players – everyone who plays with her gets better when she plays. 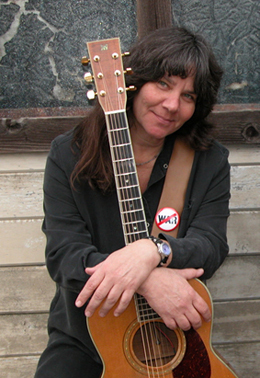 She’s added her talents to the work of a wealth of wonderful artists, including Karla Bonoff, Peter Rowan, Nanci Griffith, Lucy Kaplansky, and Kate Wolf, with whom Nina started her musical career. Her album Good Music with Good People features outstanding performances with Jackson Browne, Eliza Gilkyson, and Bruce Cockburn, among others, all taken from the Kate Wolf Festival. Three musicians who know how to play and how to listen to each other – and tonight, we get to hear them collaborate on a fresh batch of new songs!